A higher education professional for more than 25 years, Jennifer McCluskey serves as Maryville’s vice president for student success. She leads Maryville’s Division of Student Success using a life-coaching model that takes a holistic approach to student success. Dr. McCluskey has led student retention initiatives at Maryville that resulted in a more than 15 percent retention increase. She conducts annual student satisfaction assessments at Maryville, which reveal above-average results in nearly all categories. She also serves as chairperson for Maryville’s successful Digital World initiative, providing technology that levels the playing field for students and faculty while preparing students for success beyond graduation. Additionally, she is passionate about facilitating Maryville’s commitment to partnering with parents in the journey to achieving optimal student outcomes and success. 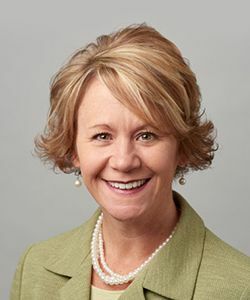 Before joining Maryville, Dr. McCluskey served as director of student programs and Greek life at the University of Denver and assistant dean of campus programs at Arkansas State University.